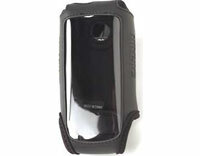 Garmin Handheld Carry Case for GPS 60 & GPSMAP 60 series (010-10578-00) | Discount GPS Accessories from mysatnav.ie Ireland's leading GPS & Sat Nav store. This is a durable neoprene carry case with a clear vinyl lens so that you can use the buttons while in the case. Includes a velcro flap.